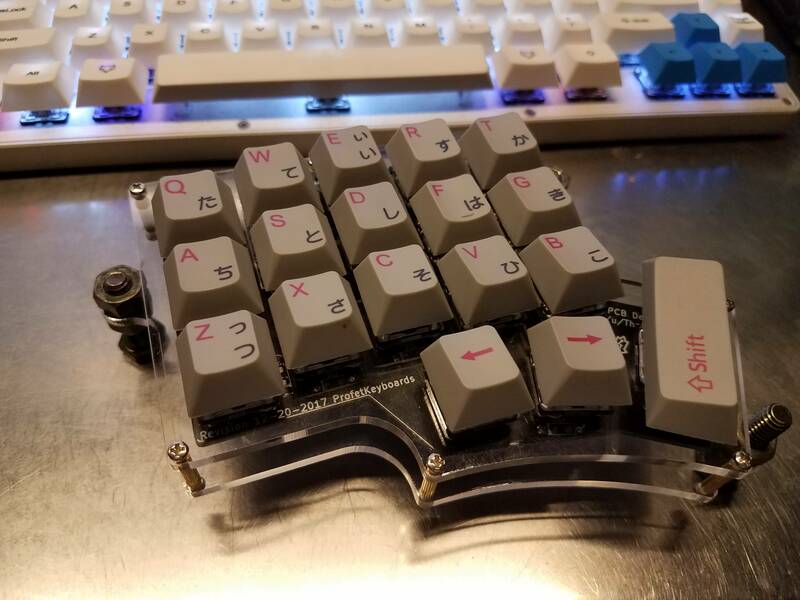 I made half of a Minidox keyboard. I'll be running a workshop at my local library were we'll spend three hours soldering and assembling these boards, as well as making custom usb cables with paracord, heatshrink, and snap together connectors. These are normally designed to paired with a right hand and the pcb is actually designed to flipable and can either handle MX or Alps style switches. The ones for the class are Gateron Blues as those the a resonable priced, popular choice. The students will be able to make the second half at home if they want, but I wanted to keep the costs low and make sure we stay within the three hour time limit. Hey, what's the date of the event, ya know...in case anyone wants to go. By the way, I have an old USB number key-pad for you to do something with...or to show me how to do something with. Which event? I assume the soldering and assembly class. That's going to be October 22nd, 6pm at the Sussex County Library. I don't really have any use for a number pad. 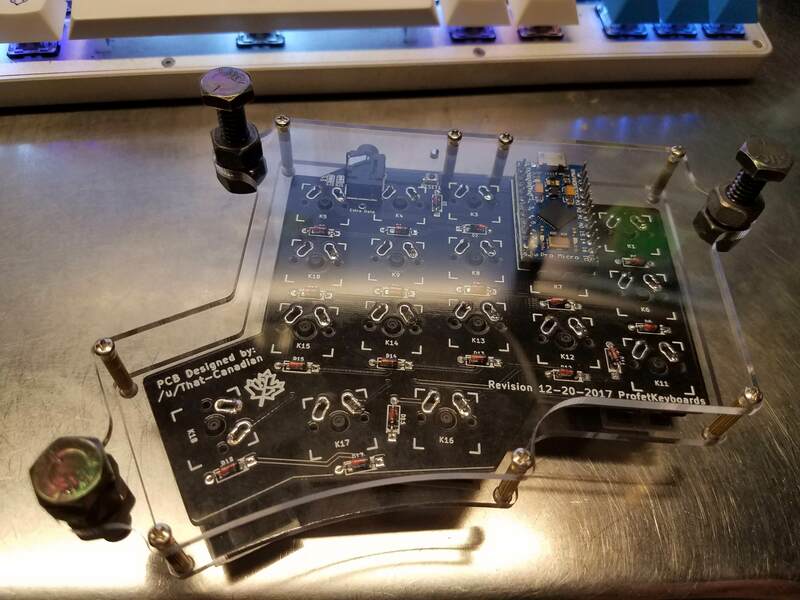 I can do more with an Arduino bases controller and laser cut acrylic for one off projects. I will add it to the calendar so I don't forget when it happens. 6PM on a Monday is tricky, but doable if I plan for it.